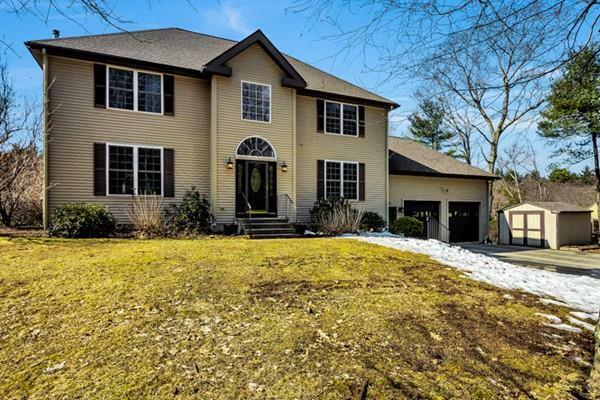 Conservation land abuts this well appointed 4BR Contemporary styled colonial on 1.6 acre lot. 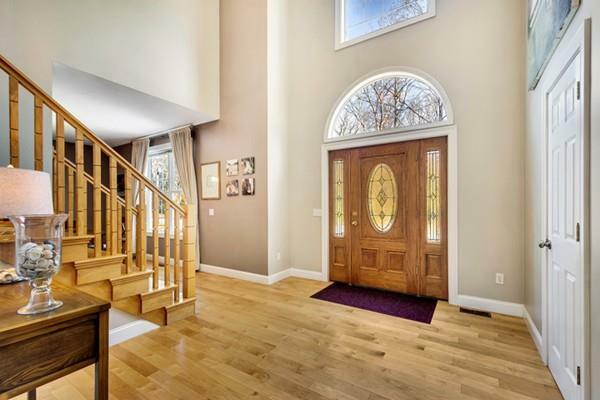 Welcoming two story gracious foyer with hardwood stairway, open floor plan, formal living and dining rooms, and family room with wood stove. The maple kitchen is enhanced with stainless steel appliances, granite breakfast bar and serving counter. Multiple glass block accents allow for pass through lighting and new hardwood floors. Master with en suite bath, double vanity w/ jetted soaking tub and separate shower. 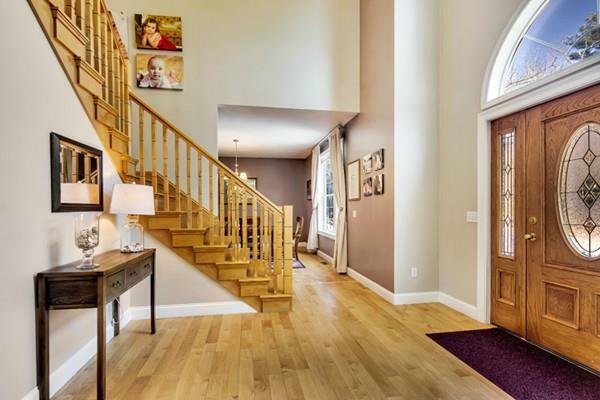 Finished lower level with full walk out basement, large playroom with pellet stove, office with built-ins, work out room. Central air and two car garage. 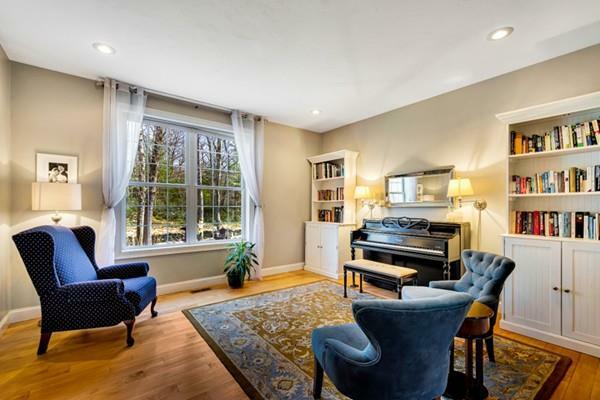 Adjacent to state land with with multiple trails and close access to Mass Pike.